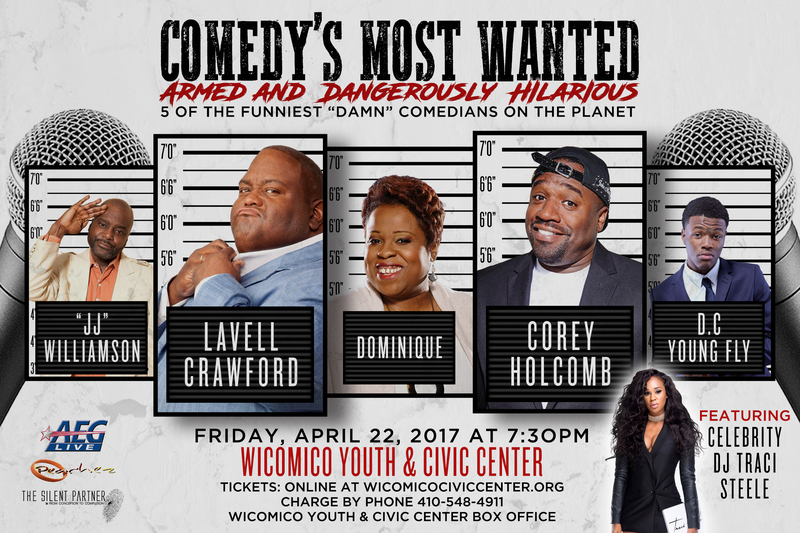 The tour features Lavell Crawford, Corey Holcomb, Dominique, "JJ" Williamson, D.C. Young Fly and DJ Traci Steele. Tickets range from $39.50-99.50. VIP Meet & Greet is $50. Fees may apply.